With the NCAA early signing period upon us, here is a preview of some recently signed recruits fans will see on the Hilltop next year. The men’s basketball team signed a pair of forwards on the first day of the NCAA early signing period. Jordan Prosser of Eureka High School and Milos Knezevic of Liberty High School in Henderson, Nev., both signed National Letters of Intent and will join the Braves for the 2009-10 season. Prosser averaged 19.5 points per game and 11.7 rebounds per game his junior season, and he was named to the first-team Class AA all-state team at the conclusion of the season. Coach Jim Les said he was glad the Braves could sign a player of Prosser’s caliber. Knezevic, who is originally from Croatia, averaged 14 points and eight rebounds for his Nevada high school. Knezevic told the Journal Star he thinks he will fit in well with the team. 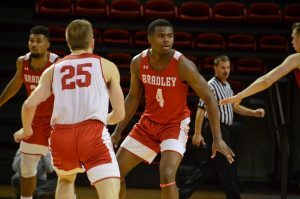 Les said the Braves initially gained interest in Knezevic while recruiting Bradley freshman Darian Norris. “He’s a great fit for our system,” Les said. The Braves locked down three new recruits during the fall signing period, including one Central Illinois stand out. 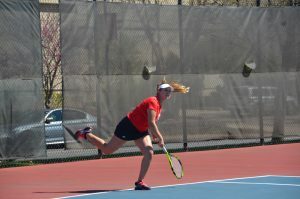 Brooke Bisping of Morton, Olivia Allen of Lake Zurich and Katie Yohn of Elgin will make their way to the Hilltop next fall, and coach Paula Buscher should be pleased with the talent she has coming her way. Bisping, a 5-foot-7 guard, was one of the more sought-after recruits in the state after being an all-state selection by the Associated Press, Chicago Sun-Times and Champaign News-Gazette as a junior, and helping Morton to a fourth-place finish in the IHSA Class AA state tournament as a sophomore in 2006-07. She averaged 21 ppg last year for the Potters and has also averaged double-figure scoring in each of her three years at Morton. Bisping was also an all-area selection in volleyball, but chose to pursue basketball. Allen is a 5-foot-6 guard who averaged more than 10 ppg and shot nearly 50 percent from the field on the way to being named to the All-North Suburban Conference team. She has also already played with Yohn, as the two teamed up to play AAU basketball last year. Finally, the Braves landed Yohn, a 5-foot-11 guard and second-team all-state selection who averaged 20 ppg to go along with more than four steals per game. 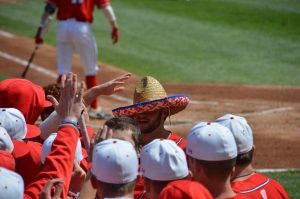 The Scout will keep students informed as more recruits commit to Bradley. Check next issue for a compete update.